Christine Ellen "Chrissie" Hynde in Akron, Ohio is an American musician best known as the leader of the rock/new wave band the Pretenders. She is a singer, songwriter, and guitarist, and has been the only constant member of the band throughout its history. In 1978, Hynde made a demo tape and gave it to Dave Hill, owner of the label Real Records. Hill stepped in to manage her career, and began by paying off the back rent owed on her rehearsal room in Covent Garden, London. 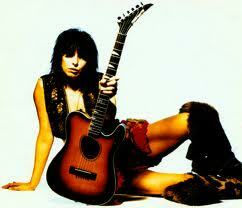 Hill also advised Hynde to take her time and get a band together. 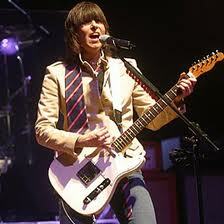 In the spring of 1978, Hynde met Pete Farndon (bass guitar / vocals), and they selected a band consisting of James Honeyman-Scott (guitar / vocals / keyboards), and Martin Chambers (drums / vocals / percussion), put the name The Pretenders on the group, inspired by the song "The Great Pretender" by The Platters. They recorded a demo tape (including "Precious", "The Wait" and a Kinks cover, "Stop Your Sobbing"), handed it to Hynde's friend Nick Lowe, produced a single ("Stop Your Sobbing/The Wait") and performed their first gigs in a club in Paris. The single was released in January 1979 and hit the Top 30 in UK. The band's early success was followed by their first gigs in Britain where they earned wide critical acclaim. Later that spring (1979), The Pretenders recorded their eponymous first album and hit the charts in UK and US with the song "Brass in Pocket". The band traded on the success of this first album (for Sire Records) for some time, as it wasn't released around the world until well into 1979 (some charts consider it the best album of 1980, for example). The band released an EP album in early 1981 while contractual issues were resolved, then Pretenders II later in the summer. These albums were not well received by critics (though hits such as "Talk of the Town" and "Message of Love" were on both). By the summer of 1982, drug use within the band was creating serious problems for Hynde. The Pretenders lineup would change repeatedly over the next decade as a result of drug related deaths and internal conflict. Honeyman-Scott died of heart failure in June 1982, just days after Farndon had been fired from the band. Martin Chambers left the band in the mid 1980s. Amidst the ever changing lineup, the controversial Hynde endured as the sole original Pretender until Chambers' return in the mid 1990s. Throughout the mid-1980s and early 1990s, Hynde employed a string of session and professional musicians within the band, always keeping the name Pretenders. With many of the albums through this period, the only constant presence is her own, and the album art often reflects this (using her picture alone in some cases). 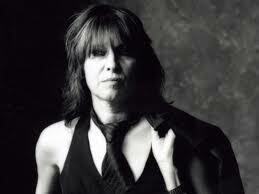 Chrissie Hynde and her band, The Pretenders, were inducted into the Rock and Roll Hall of Fame in Cleveland, Ohio, in 2005 - the Museum's 20th anniversary year, as well as year of the 50th anniversary of the birth of Rock and Roll. Irish band U2 was also among the inductees that year. The ceremony was held at the Waldorf-Astoria Hotel in New York City.